Great news. Was hoping Reelz would show it. I'm so excited, just found out about this today!! Also I collect Seagal items and today finally found the Lawman bobblehead: http://hottreasures.ecrater.com/p/18993581/steven-seagal-lawman-bobblehead I wish I had the money for it. Apparently they only made 2000... 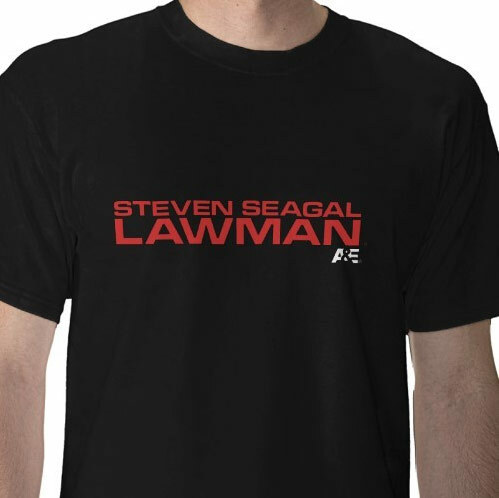 Anyone know of any other Lawman merchandise out there? Cool ! Thanks for the trailer! I also noticed a new interview on the same page. 1st episode airs tomorrow night. When are they going to put these seasons out on dvd in America? these may have had an effect on why there are no US releases. PS: If you have a PC with a DVD drive then you got no problem at all. these episodes are years old now...it's unlikely they will ever be released on US DVD. How about a 6 foot 3 inch figure? OR a less expensive route......$4/$5 for a Lawman 9" cling decal for a window. Where and whenever we can by it in Holland the 3 season. Don't think it has been released anywhere. It had a run on Reelz TV a while back and i think that has been it.